Gamification is a business tool representing a whole new direction for achieving the goals you have set for your company. But small businesses have been shying away from it because of the emphasis on large, global enterprises deploying the technology. That’s too bad because gamification is a tool small businesses can easily implement to create innovative programs allowing them to compete with large brands. 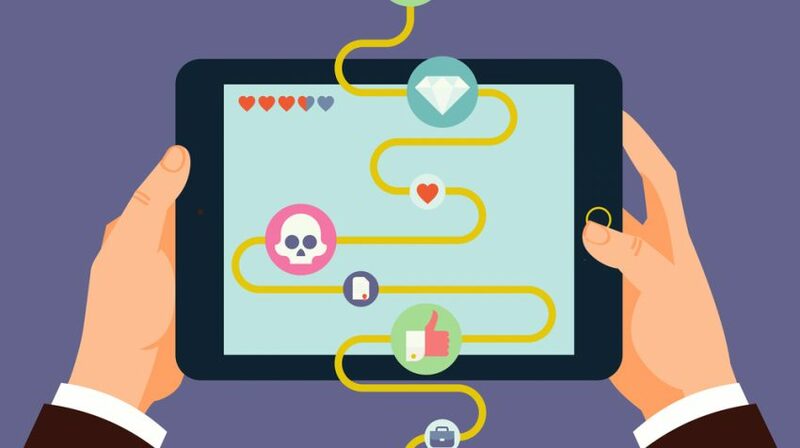 The simplest definition of gamification is: a process for integrating game mechanics into something that already exists to motivate participation, engagement and loyalty. This can be almost anything, from your website to social media presence, day-to-day operations, customer engagement and more. Gamification introduces game design elements into non-game applications to make them more fun and engaging. It uses competition, points, achievement, rules of play, status and self-expression to encourage actions through positive feedback. The components of a game are called game mechanics. And as it applies to gamification, the right set of game mechanics are used to engage or motivate the user. Founded by Rajat Paharia in 2007, today Bunchball supplies solutions for companies including Warner Bro., EA, Adobe, SAP, T-Mobile and many more. But its services it offers can also be used by small businesses. Some of the other companies providing gamification solutions are: MLevel, LevelEleven, Badgeville, and Intuitive. There are vendors specializing in different segments, including sales, education and customer loyalty. Most of these companies and others have a free trial period with limited features. If you want a free solution you can also try OpenBadges. Developed by Mozilla, it is an open source platform for creating and issuing badges to your employees after they go through a training or achieve a milestone. 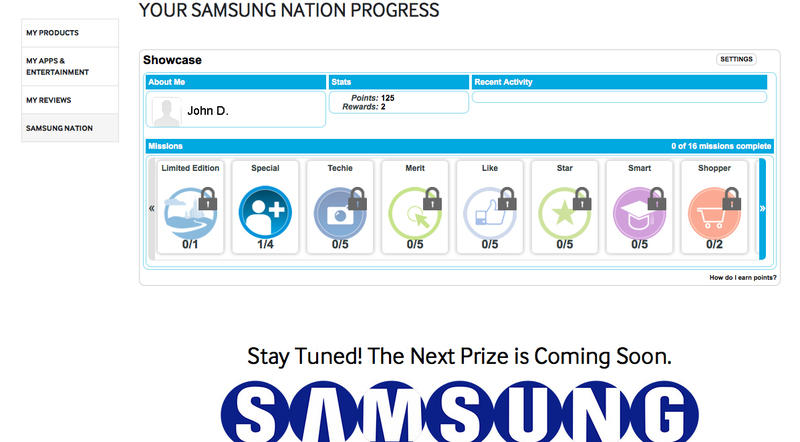 Samsung Nation is another example of gamification. 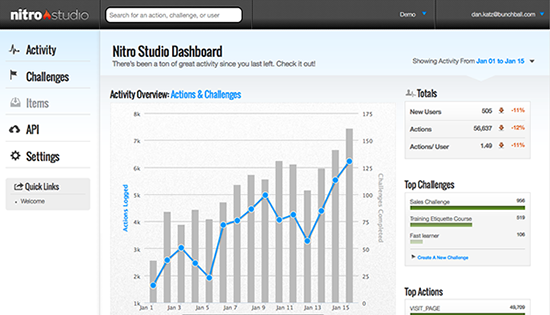 The company rewards its users with badges as they progress through different levels of achievement. The badges and levels are given after users create content, watch videos, review products, engage with their community and other activities. What is more, many small businesses are already using different aspects of gamification, without knowing it. If you give a coupon for an email address and have loyalty cards, those are forms of gamification. How can Gamification Help Small Businesses? Gamification delivers proven and tangible results, which can be measured with the analytics tools most vendors provide. This one is from Bunchball. Businesses have experienced an increase in engagement across social media, both internally and externally. 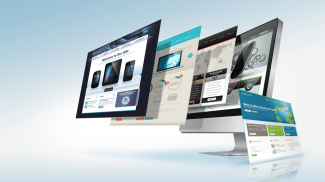 This includes things like more website traffic, lower times for adoption and conversions from free trial to purchase, and reduction in onboarding time. However, there is also a downside if not managed properly. Gamification creates high-levels of expectation, which can be responsible for a false set of incentives. Additionally, gamification should compliment any other systems you have in place and not replace it. And last but not least, the motivation has to be more than money. This is especially true for millennials, who have different sets of motivation than previous generations. In order for a gamification solution to be successful, it has to be well designed, executed and maintained. The methods have to be varied, and the information it provides has to be used to improve not only your business, but the application itself. Gamification is not a panacea that will magically make everything better. But it has proven tools for improving the engagement level of employees and customers can also be fun and engaging. Can I Translate to Portuguese and Divulge here in Brazil showing the font? 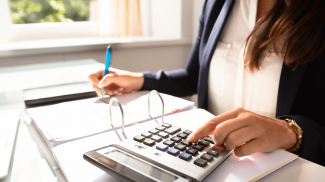 Pingback: The Struggle is Real for Sales Recruiting Millennials - Treeline, Inc.